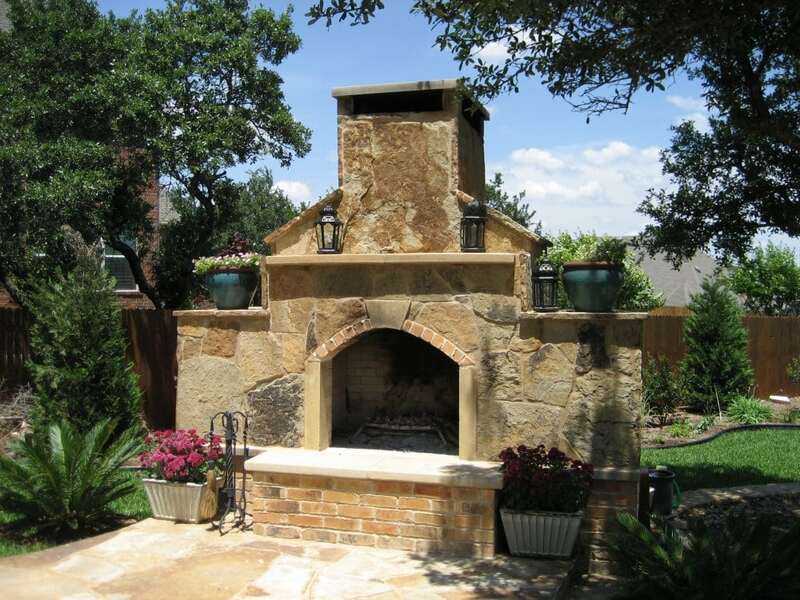 Outdoor Fireplaces are a beautiful addition to an outdoor living space that can bring flare and grandeur to your home like nothing else. 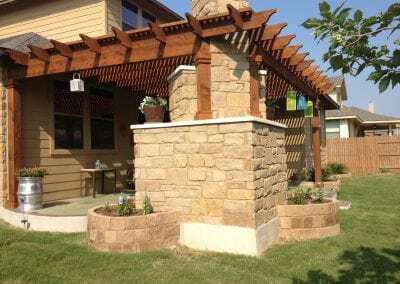 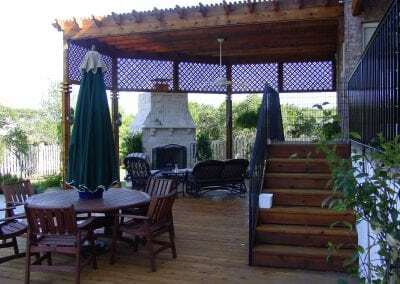 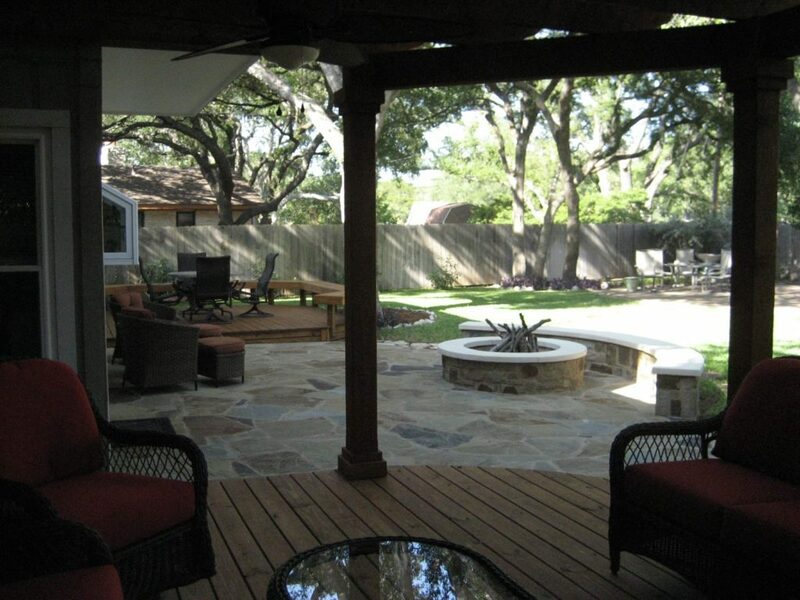 The popularity of these outdoor features in recent years has skyrocketed and with good cause. 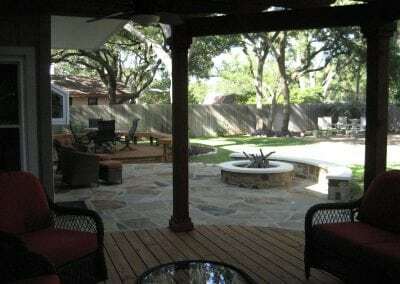 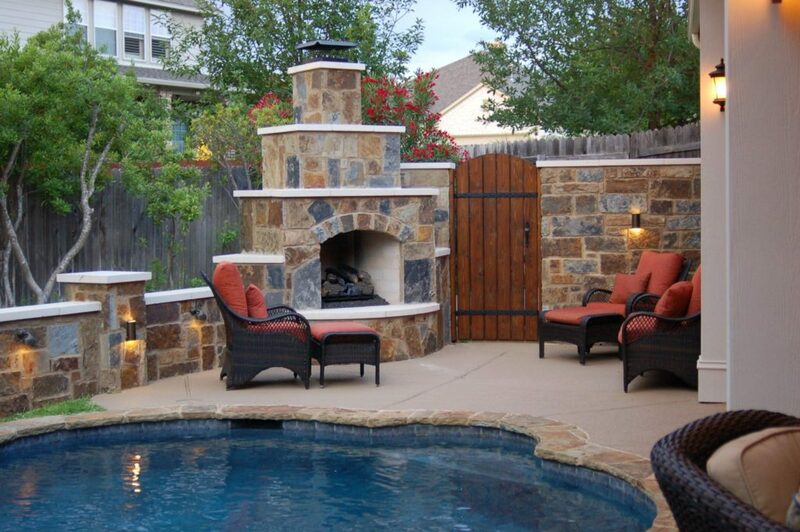 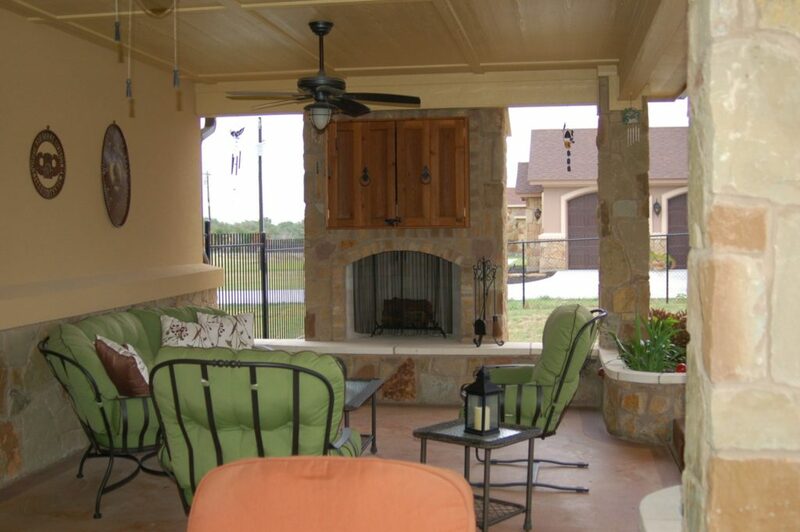 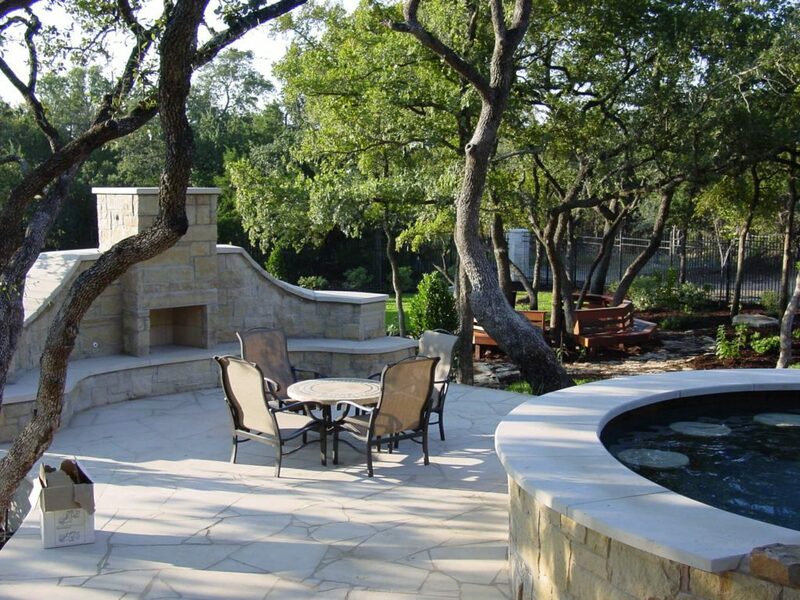 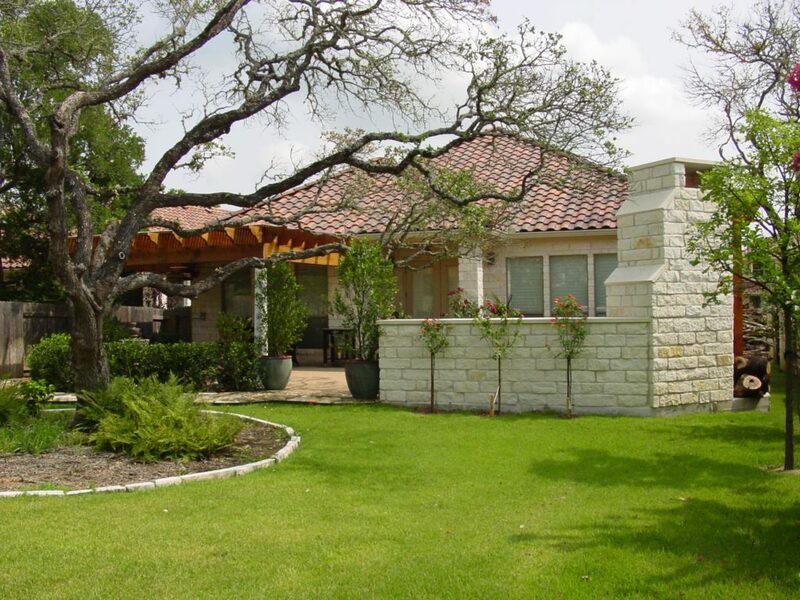 Outdoor Fireplaces can be enjoyed practically year round in an open air outdoor living environment. 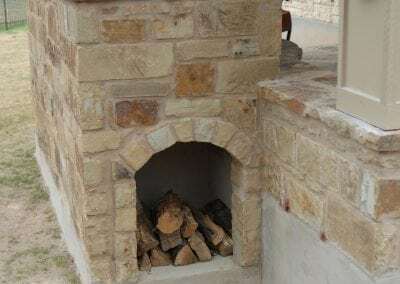 The basic components of a fireplace are fairly standard, you have a firebox, a flue, a fuel source, and a chimney, beyond that your imagination is the limit to what we can do. 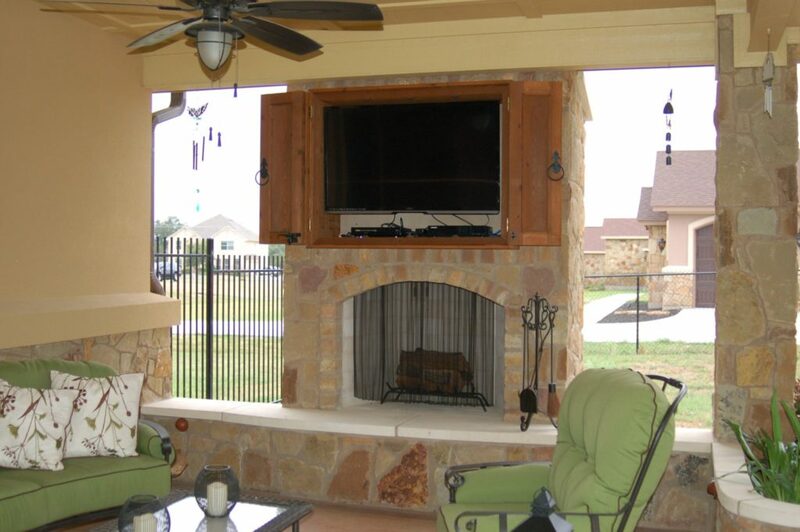 The first thing to decide, when considering an outdoor fireplace, is function. 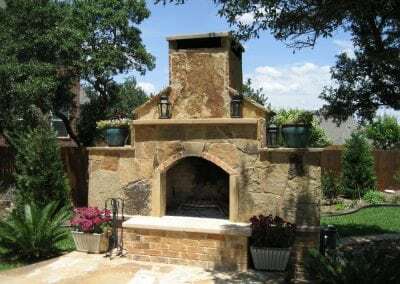 Is your main goal to beautify the outdoor space by adding this fireplace or are you intending to use it mainly for outdoor cooking? A fire pit can be a better option for cooking. 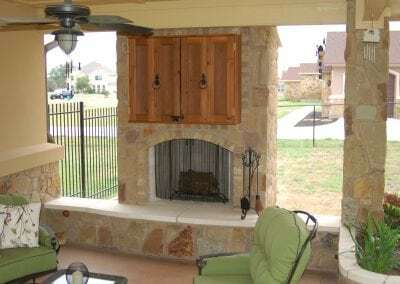 Alternatively, you need to have a metal grate on the fire place if you will be using it for cooking. 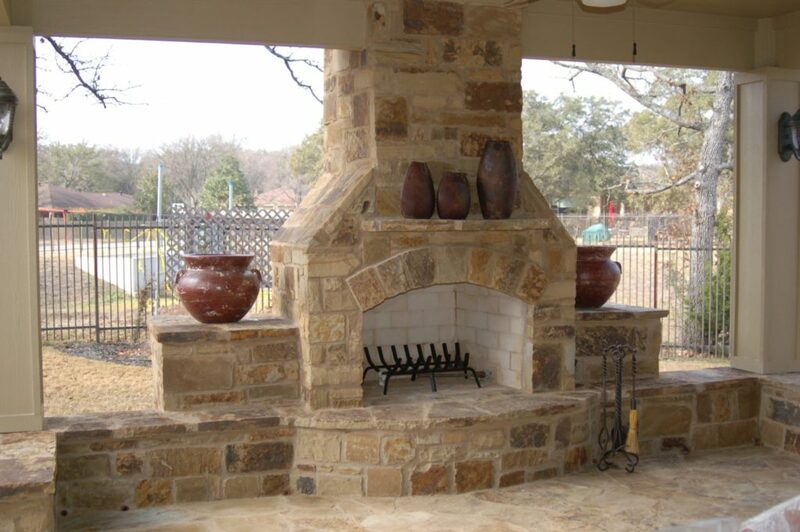 Making this decision can help you to decide on the fuel source you will use in your outdoor fireplace. 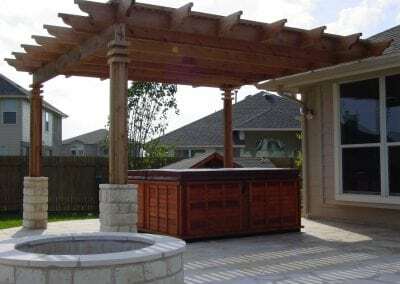 Wood or gas? 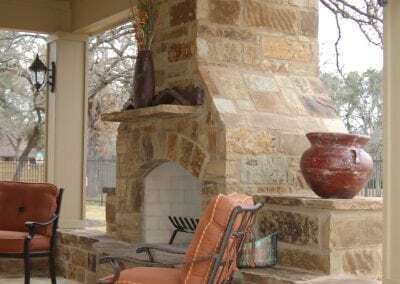 Natural gas provided by your municipality or propane can make starting fires in your fireplace easier but often times come with a much greater initial cost. 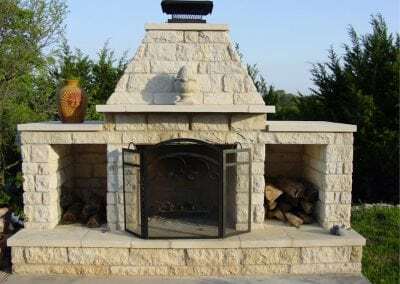 Depending on the layout of you home, a gas log lighter could be used and plumbed from existing gas plumbing On the other hand, if you want your outdoor fireplace to be completely gas powered you will more than likely need to run a new line from the meter. 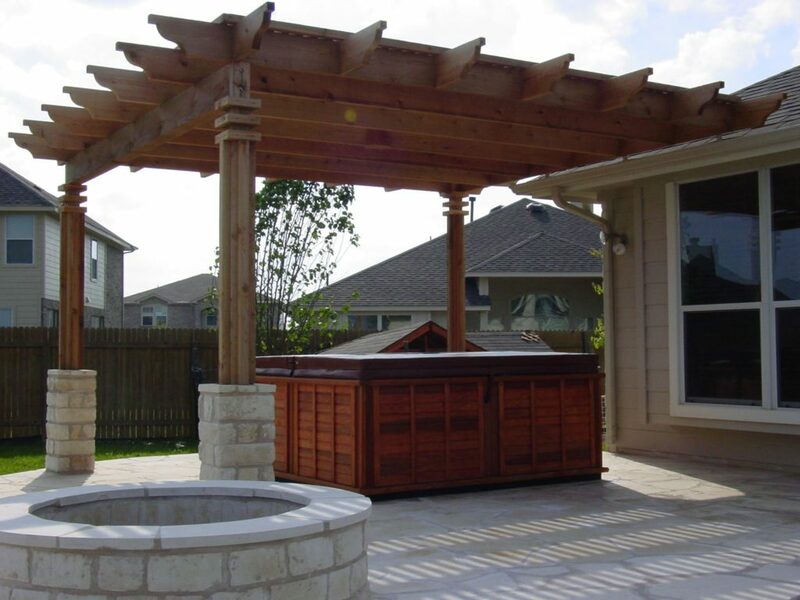 We offer all three options and use only licensed master plumbers to do the install on gas lines. 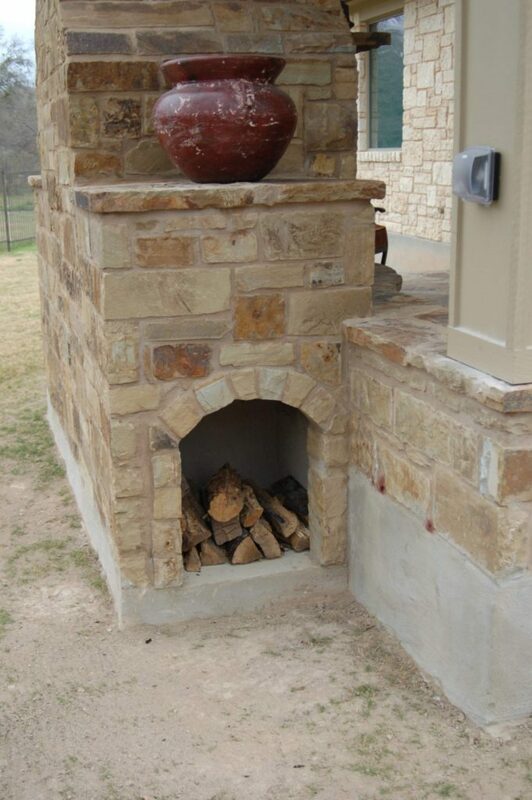 Wood burning fireplaces do not require the plumbing but, do have to be cleaned more regularly than a gas fireplace. 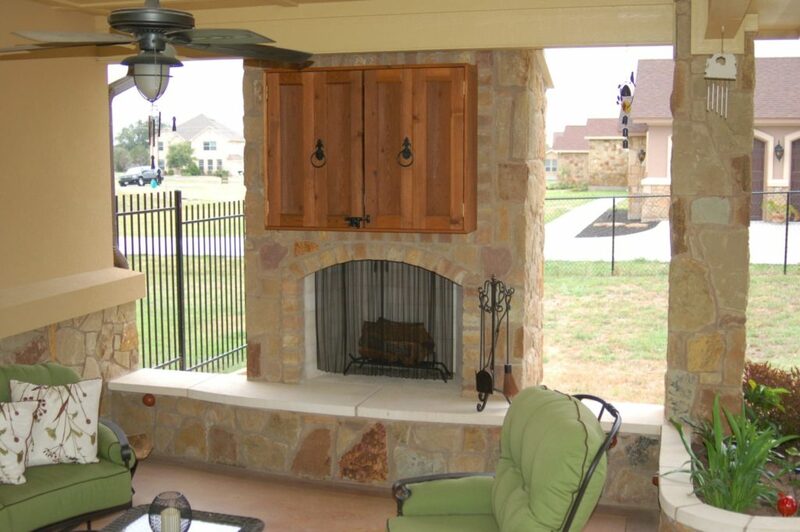 The next thing you are going to want to consider is going to be the location of your outdoor fireplace. 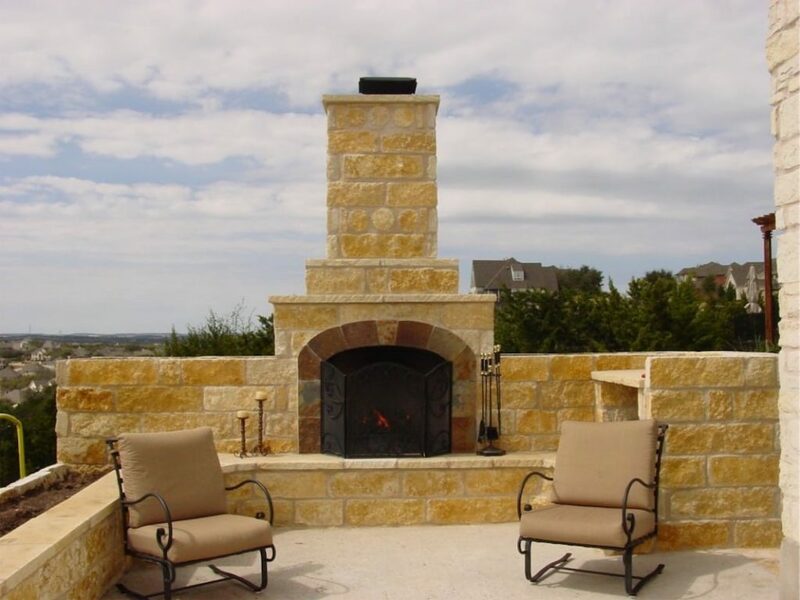 It is going to be easy for you to choose an ideal location once you decide on the main function of your outdoor fireplace. 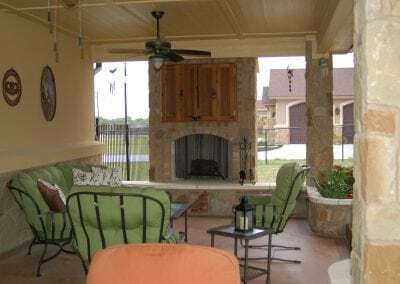 You can construct the fireplace close to your kitchen, or you can choose a more remote location to create a more intimate area within your outdoor living space. 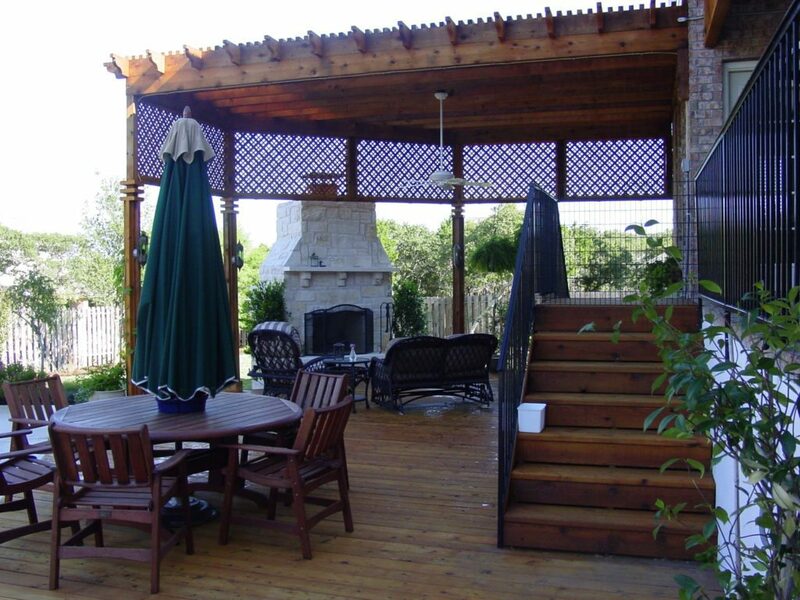 Wind also plays an important part in your selection of the ideal location. 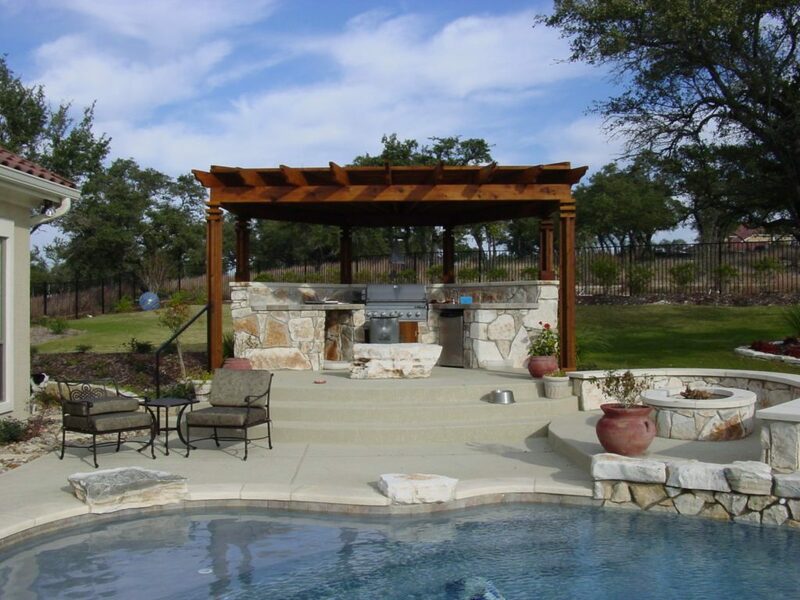 Select a spot that is not very exposed to strong winds. Remember that the area where you dig the fireplace should never have underground utilities like gas and sewer lines. 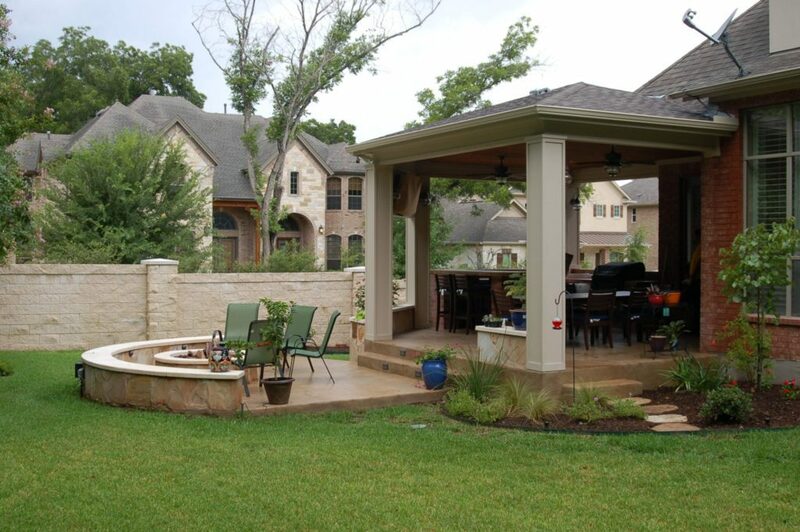 Do not choose a location that is close to overhanging trees, power lines or other structures. 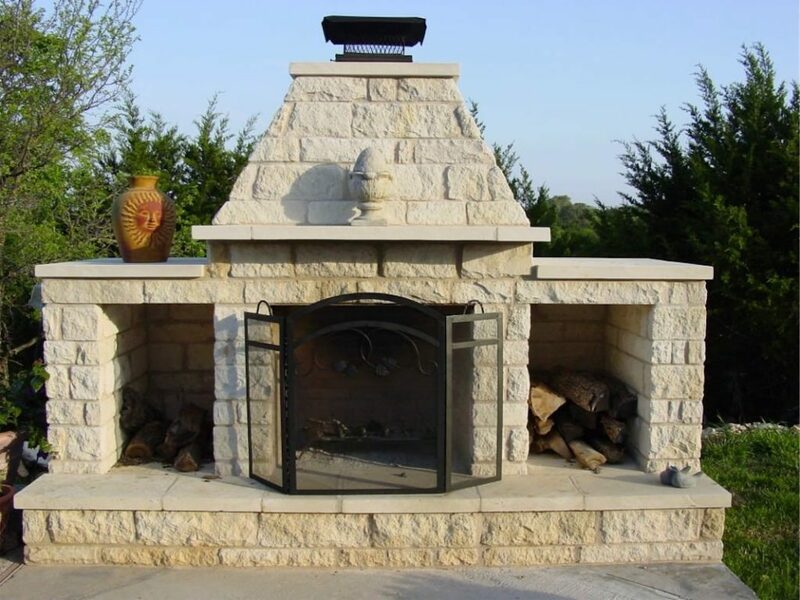 Our design professionals are educated in the requirements necessary to place an outdoor fireplace, and will always incorporate these decisions into the design drawings they provide. 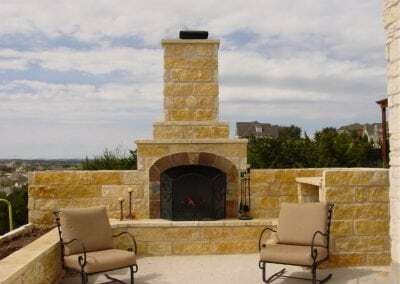 Choose a size that will provide you with all that you want in an outdoor fireplace but nothing so large that it overwhelms your outdoor space. 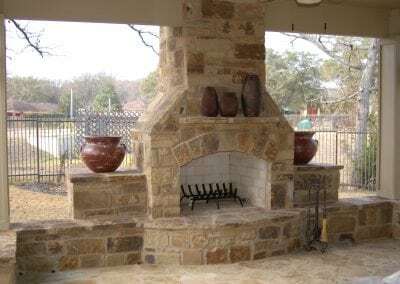 Our designers will help you determine the proper size of your fireplace as well as the many other component options to go along with it such as mantels, hearths, benches, t.v.’s or anything you may have in mind. 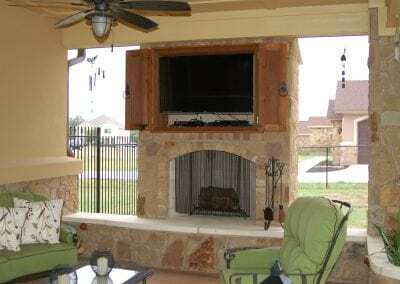 Most fireplaces are at least 8 feet so as to direct smoke away from you living area. 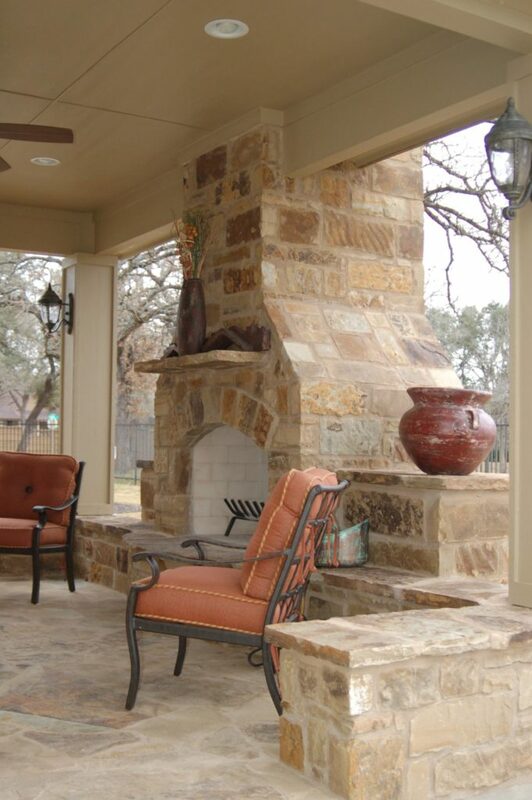 Make sure the height of the chimney takes into consideration other elements in the outdoor space like a roof or pergola. 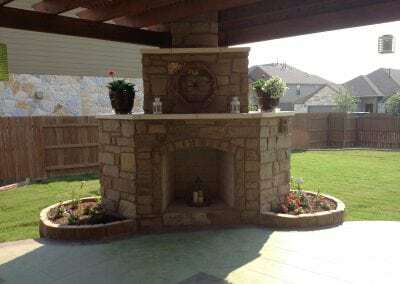 Remember that there are fireplace codes set aside by your municipality. 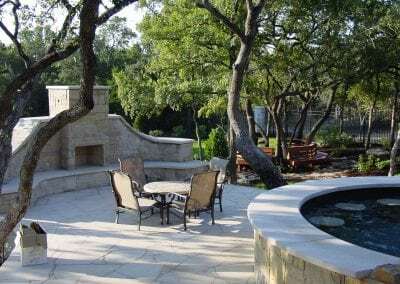 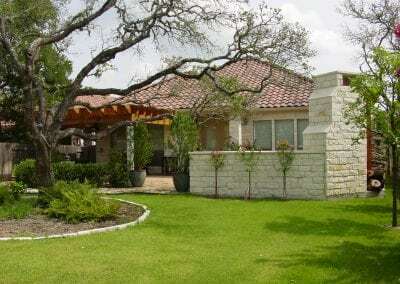 We will inform you of these and any other considerations before planning your outdoor fireplaces because they can dictate what you can build in your outdoor space and how.